Shayaree! Didn't just reading this brought an emotion to your mind? Happiness, love, sadness, humor or maybe some other emotion but it does. We hear shayarees on a daily basis, we remember a lot of them and I am damn sure that everyone has at least one favorite shayaree and has made an attempt to write or tell a shayaree. For me, shayaree is like emotions written in words. What about you? These days when we want to read shayarees we can simply Google about them, but those shayarees come with a lot of distractions like advertisements and the worst part being their irrelevance and sometimes the difficulty to understand. How about a solution to this? I am sure J.S. Mishra would have definitely gone through this before he came up with the idea of compiling a book of shayarees by some very famous and eminent poets. Shayaree-e-Zindagi - Poetry for Life, a compilation of shayarees by J.S. Mishra. I personally love shayarees and regularly keep reading/listening to them so this book is like a literary heaven to me. I have read the book rather the shayarees and below are my thoughts (I don't want to call it a review) on the book. The book carries emotions, why do I say that? 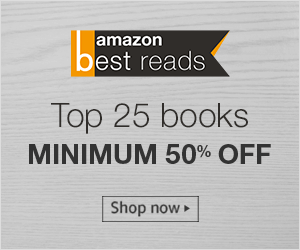 Because the book is beautifully divided into seventeen sections which are Beauty, Longing, Relationship, Love, Promise, Waiting, Dream, Pain, Grief, Memory, Destination, Courage, Leadership, Self-Pride, Philosophy of Life, Spiritualism and Other couplets. We must appreciate the efforts put in to classify the shayarees and make it easier for us read one emotion at a time. The compilation is of shayarees written by Firaq, Mirza Ghalib, Bekhud Dehlvi, Asar Lakhnawi, Jigar Moradabadi, Akhtar Gaurav, Anwar Mirzapuri, Bashir Badr, Malika Khurshid, Nida Fazli, Qateel Shifai, Rahi Masoom Raza, Bahadurshah Zafar, Nizam Rampuri, etc.. 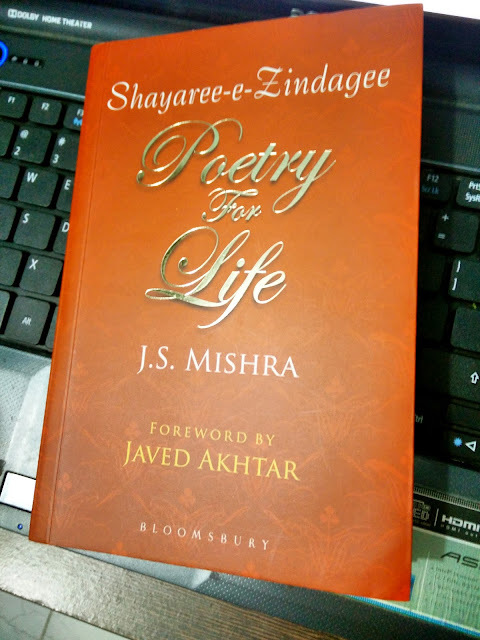 The book, Shayaree-e-Zindagi - Poetry for Life, not only has the shayarees, but also has them written in English and Hindi (Devanagari) with their translation in English and this makes easier for the reader to understand the pronunciation of Urdu words and also their meaning. The book can be read by people of all age groups and at one go because of the grip and the continuous deluge of emotions. It took me only two days to read the entire book. Trust me the book has high withholding of user attention. It has a collection of more than 500 shayarees and the foreword is written by Javed Akhtar. Below are the first and last shayaree of the book, for you all readers. Teree nigaah dilon mein yoon hee utar aaee. Chaman bhee ik museebat thaa, kafas bhee ik museebat hai. Publisher: Bloomsbury Publishing India Pvt. Ltd.